At the Happy Sunset Retirement Community, there’s Ethel, Myrtle, Harvey, and Tex. And then there’s Brian. The retired kid. He’s here to escape school, homework, and daily chores. But retired living has its challenges, especially when you’re sixty years younger than everybody else! Don’t we all feel like retiring from our responsibilities? This book gives kids a totally hilarious look at how that might be for them. Author/illustrator Jon Agee perfectly matches the simple text to the bold colorful illustrations. Love the message of loving who you are and appreciating the life you have. The most expensive gifts in the world don’t mean as much as something you took your time to make. Many years ago, my young son made a card in his Sunday School class. It was delivered to an elderly home-bound lady. Her husband wrote my son a letter to thank him for bringing joy to his wife who was blind. Running her fingers over the card, she could tell how much time and effort Peter had taken because he had glued so many buttons, sequins, and ribbons on it. Do you have a senior facility nearby? Or perhaps there is an elderly relative or neighbor who would appreciate this token of thoughtfulness and love? You will need: A piece of construction paper, buttons/sequins/ribbons/small cereal or pasta (whatever little attachments you have available), glue, markers or crayons. 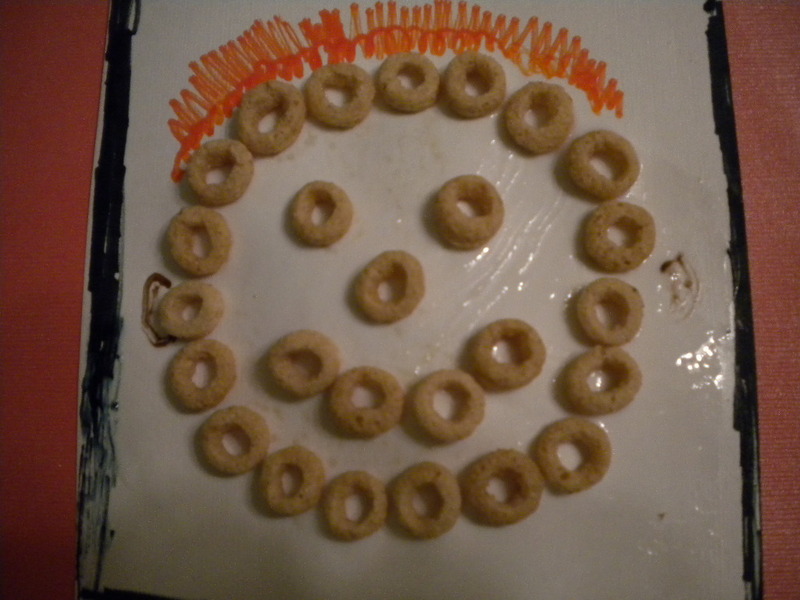 Let your child decorate the front of the card by glueing on the little additions. Write a message from your child inside. Deliver to someone who needs a lift. This entry was posted in Chicago, Crafts for kids, Perfect Picture Book Friday, Picture book reviews and tagged #PPBF, John Agee, Make a card craft, Picture Book Summit, Susanna Leonard Hill, The Retired Kid by viviankirkfield. Bookmark the permalink. I’m glad you found this one! This is the one I mentioned to you at WOW! Yup…you are always my go-to resource for comps and everything, Stacy…it’s really funny, because I hadn’t read it before, but the activities were almost a mirror image of mine. YIKES! I read this back in June or July. Such a good choice. I’m so glad you’ve added it to the PPBF list. Thanks. Ha. What a great title! Thanks as always for your very thorough review Vivian! 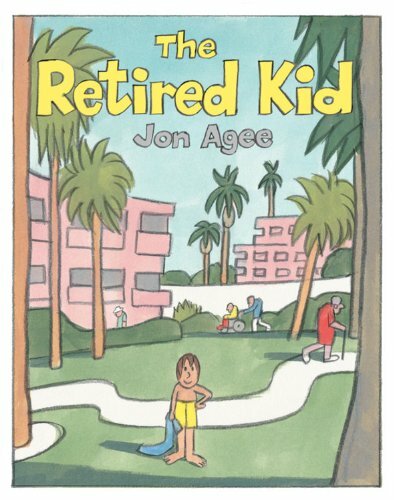 I’m obsessed with Jon Agee’s books!!! this looks too fun to pass up! I just saw this book, Vivian! One of my friends bought it as a retirement gift for her brother, and it was so much fun! During the party, his 8 year old grandson read parts of it aloud. Sounds like I need to check this one out! Thanks for sharing. I KNOW that my son would like to retire from homework (big sigh), activities not involving computer screens (big sigh), chores (HUGE sigh), and picking up after himself (even HUGER sigh). Oh, the work of childhood is never done! I’m going to have to give this one a peek. My son knows all about nursing homes, given that my father spent three years in one. I think that gave him some bit of empathy toward elderly people who don’t have much excitement (of the childhood kind) in their lives. Great book, Vivian! I just love the line, “It’s been a hard eight years. I’m ready for a break.” Cracks me up! Thanks for sharing this at Booknificent Thursday this week!